Living in the Northern hemisphere, with winter solstice just a few days away, this is the last week of Earth's 365-day cycle. On Saturday December 21, the Sun will be in its lowest yearly zenith position. With each day the Sun still sinks deeper into Earth - setting earlier and rising later. However, now the difference from one day to the next is almost nil, a clear sign that the forces of darkness are running out of steam. There's a subtle promise in the air as very soon the Sun will be reborn, initiating another round of abundance and prosperity. To most of us, survival no longer demands paying close attention to Earth's natural rhythms. However, as long as we're alive, we're intimately tied in with nature's cyclic changes. Approaching the zero point of winter solstice, life's juices are recoiling deep down at the roots, nature pretty much has come to a standstill. It's very meaningful that hexagram #11, 'Peace', would be assigned to this section of the zodiac. This is a wonderful time to meditate, to allow yourself to be pulled in deeply, sinking down into Earth; to reconnect, be nurtured and healed. Take some time here and there to relax, close your eyes, let Earth's gravity pull you in, enjoy sensations of peace. To no surprise, the birth of Christ is celebrated around winter solstice. Wikipedia confirms that 'cosmic symbolism' inspired the Church's leadership to celebrate the birth of the son of God at winter solstice. Most likely, the much older pagan festival of lights 'Yule', the Jewish 'Hanukkah' and the Roman birthday of 'Sol Invictus' (Unconquered Sun) were given a new meaning. Christmas is the continuation of an age-old and most wonderful tradition. Rejoicing this time of the year might be inscribed in our DNA. A fundamental sacrament of life, this passage holds deep spiritual meaning. It's a signature of our times, that just three days before winter solstice the Sun lines up with the Galactic Center, at 27 degrees Sagittarius. In this context I'd like to clarify something: An argument often heard approaching the end of the Mayan calendar was that by 2012, the Galactic center would line up with the winter solstice Sun. This is simply wrong. It will take Earth another 3 x 72 years to line up with the Galactic core. This is the precession cycle we're talking about, it's caused by a very slow wobble of Earth's axis. Every 72 years, the canvas of stars moves one degree counter clockwise. One full precession cycle takes 360 x 72 = 25,920 years. 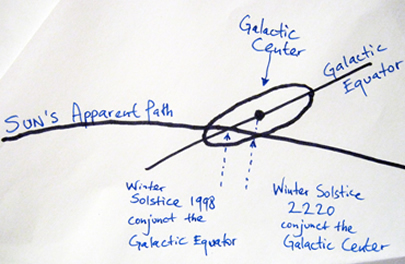 As you can see from the drawing, in 1998, winter solstice was conjunct the Galactic equator. Take into consideration that this is an extremely slow move. 1998 has been the center point; however within half a degree on either side the energy flow is very intense. Thus, the core period began around 1962, lasting into 2034. Winter solstice' alignment with the Galactic Core is two centuries away. This brings our present times into perspective. Evolution will further accelerate crowning a 26,000-year cycle. One may wonder what unimaginable transformations are about to manifest. One thing is certain, this entire century promises for a breathtaking journey. The aim is waking up to Galactic citizenship. Step by step Earth's civilization is getting prepared to face the fact that we're not alone in this cosmos. The time will come when citizens form other star systems no longer will feel the need to keep their existence camouflaged. In last week's column I pointed to the amazing synchronicity how the discovery of new planets comes hand in hand with an expansion of human consciousness. 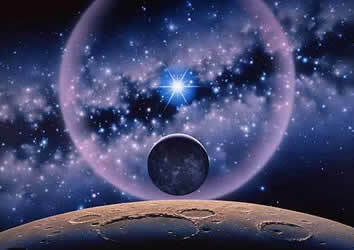 The outer cosmos is a mirror image of our inner cosmos. What we see out there is nothing but ourselves. Isn't it so, we find out that we've changed when a different image shows up in the mirror? The problem however is, that we believe the mirror image to be the real thing. We haven't fully understood the dynamics yet, that the inner cannot be seen directly. The invention of the telescope was the sign of an immense evolutionary leap. Humanity had become mature enough to look at themselves much more profoundly. One cannot understate this invention. It initiated a cascade of realizations, of who we truly are and what role we play within the context of this puzzling universe. Hundreds of new planets have been found in the last twenty years alone - many more exciting stories to be shared! In 2006, it was amazing to see how many people were deeply shocked when Pluto lost its status as planet number nine. Knowing what had been unfolding, this development was foreseeable, only a question of when it would have to be dealt with. In 2005, dwarf planet Eris had been discovered, to be formally named on September 13, 2006. The catch was: Eris is larger than Pluto. Astronomers found themselves in a difficult situation. Either tens, if not hundreds of new planets would have to be added, or the criteria of where to draw the line had to be reset. Eris for sure announced its personality loud and clearly, disrupting the celestial order, throwing 'the golden apple of discord' into the ring. After all, its mythological namesake instigated the Trojan War. Eris catalyzed the demotion of Pluto. But it also initiated the creation of a new order, the family of 'dwarf planets', to which Pluto and Eris now belong. The insight from this story is that Eris dismantles limiting conceptual boundaries by exposing inconsistencies. 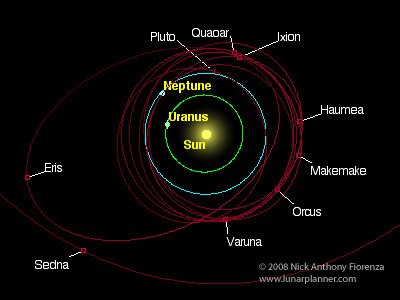 Eris moves on a much more eccentric path than Pluto, cutting through the main planetary disk at a much steeper angle. This suggests that Eris may have an even sharper, more intense and dramatic impact on the expansion of consciousness. Between the 1920's and 2040's, Eris is pacing through the sign of Aries where it's at its farthest from our star. Eris spends over 20% of its 560-year orbit in this pioneering sign. Everybody younger than 90 years has Eris in this cardinal fire sign. If you were born between 1945 and 1990, your natal Eris links in with the seven Uranus-Pluto squares setting the tone between 2011 and 2016. In other words, we're all effected by this upsetting and disruptive revision process, one more indication that we're in the middle of an immense shift of individual and collective consciousness. Stay tuned; in next week's column I will reveal many more intriguing facets of what 2014 has in store for us! There's a subtle tension in the air, it's very important to be careful. Persistently moving forward can be dangerous. Just one day before Full Moon energies can be quite wild. Discipline and paying attention bring happiness. The Blue Galactic Hand adds a diligent and yet playful note, proficiency and focus. Celebrate the Full Moon, it will be exact early Tuesday morning. Only in winter can the goddess of the night be so majestic! One week before Christmas, and yet it seems difficult to catch on to its spirit this year. There's a certain heaviness hanging around. Many of us go through rough times, if not ourselves than someone we're closely related to. - Well, who said it would be easy! Facing the difficult and unavoidable makes us more appreciative of this moment, of all the precious revelations that are surrounding us at all times. The Yellow Solar Star helps us seeing beauty and perfection, we may realize that cosmic intelligence is shining through everything, that goodness is at the very root of existence. The Moon is in Cancer, approaching its farthest monthly separation from Earth. An emotional day. When there are obstructions, energy can be gathered by being still and practice cultivation. The danger of reacting impulsively can be banned if we can keep the flame of awareness alive. The Red Planetary Moon is very empathic. Go with its pull, connect with your heart and practice forgiveness. Ho'oponopono is a powerful traditional Hawaiian healing meditation. Try it yourself, it relieves grief and suffering, you will perceive its healing powers immediately. It's a simple mantra, repeat it silently, and be with the emotions set free within: "I love you. I'm sorry. Please forgive me. Thank you." Companionship is the most precious element of life. The enigma is that we cannot see ourselves directly. We're edging closer to know who we are when we're observing our reflections. Contemplate what it means to be a perfect mirror. - In the Dreamspell calendar, today and tomorrow carry an additional frequency: Earth time and Galactic time are intertwined, Portals are open, we're in touch with the Galactic heartbeat, universal wisdom is spiraling down. The White Spectral Dog is a highly evolved animal, accompanying us on the inner odyssey through the Underworld. The Dog's fire of faith provides light. This is the last day of the natural year. The Moon is in Leo, there's drama, passion and intensity. Take everything with a grain of salt, don't get too identified or carried away - and most of all keep smiling! Most often, things are not what they appear and every situation has many different layers to it. Honor complexity. The Blue Crystal Monkey adds an iridescent, playful and sometimes eerie touch. At 9:11 a.m. the Sun enters the sign of Capricorn. From now on days are getting longer again, promising that eventually spring will come. Also today, from Earth's point of view, Venus is beginning to move backwards till the end of January. - Through the coming weeks we are invited to review and find out what we truly value. We may see a discrepancy between what we desire and what brings us true happiness and contentment. Solstice is the birth of the new year, hence the Yellow Cosmic Human is the signature of 2014. 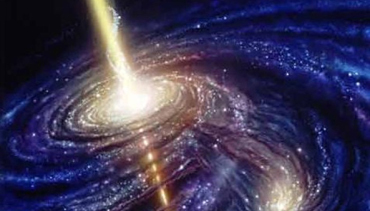 Expanded awareness is the Cosmic Human's natural ability. There's a untamed longing for rejuvenation and transformation. The dreamy and contemplative void-of-course Moon in Leo might be very inspiring. Creative ideas and insights may arise out of nowhere. - After midday, when the Moon enters earth sign Virgo, we may want to go out to the fresh air and enjoy the splendors of nature. Overall, this is a most important day to realign within oneself. A good workout while enjoying the outdoors might do wonders. The Red Magnetic Skywalker is an explorer, a source of confidence and genuine vision.